In the early stages of convertible cars they were thought of only available to the relatively well heeled; today however they are affordable by all. In this guide we look at the benefits of convertible cars, and why you should consider them for your next car. The number one reason why people are attracted to buying a convertible car is, of course, because it is considered more luxurious than the standard range of cars. Driving with the roof down is certainly luxury, particularly if you’re driving through beautiful countryside or past wonderful sea fronts. Additionally, because of their now advanced heating systems, you can benefit from both the fresh air, whilst staying toasty. 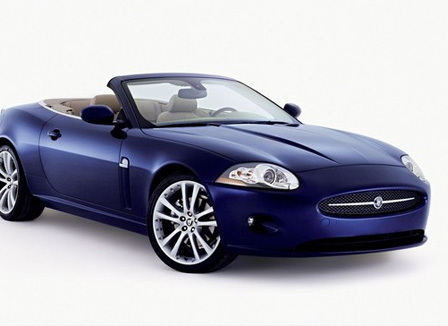 The ever expanding range of convertible cars mean that no longer do you have to spend an inordinate amount for the added luxury a convertible car can bring. Nowadays there are many hatchback models that offer an affordable convertible version, so consumers need not spend that much more than they do on standard models. Additionally, if you can’t afford one of the new convertible cars, there is always the second hand market to scour through. Convertible models used to consist of no more protection than just the lower parts of the car, so, should the car flip on the road, you’d be in trouble. Today rigorous safety standards ensure that the driver of a convertible car is as safe as those that drive normal cars. This is achieved through features such as bars that spring out in a millisecond, which provide that all important head protection. Convertible cars used to make their drivers suffer from the winter cold; however today, technology has far surpassed this situation. Excellent heating systems see the driver of a convertible stay warm throughout winter, even on the coldest of days. That said however, there is no escaping the initial coldness when you first enter your car, you’ll just have to sit tight for a few minutes! There are many reasons why convertible cars are gaining in popularity, from their increased security, to their affordability; more and more people are choosing convertible cars for their next vehicle. Additionally, convertible cars were once considered as nothing short of a hazard to one’s health, today however they are just as safe, if not safer, than standard models. Convertible cars are most definitely a more attractive offer than ever before; and, let’s face it, who doesn’t want a touch of luxury added to their daily driving lives?